Cybersecurity firm Researchers said on Wednesday they had found flaw in WhatsApp which gives ha.ckers ability to manipulate your messages or even send fake messages and read them. This is a popular messaging app and when ha.cker has access to these messages it can cause potential harm. the vulnerability gives a hacker the possibility “to intercept and manipulate messages sent by those in a group or private conversation” as well as “create and spread misinformation”. This report of the flaw is becoming alarming becuase they need to prevent spreading misinformation due to its popularity and convenience for forwarding messages to groups. 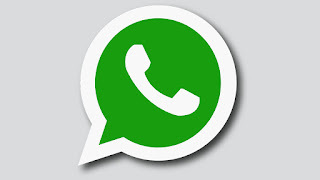 Whatsapp are implementing nee features which will limit the number of times you can forward messages to groups. Whatsapp are still battling to fight misinformation from users who spread false info about a particular person or spreading fake news. This is a popular social media app for for them to have such a flaw in their system, they aren't serious.